How Far is Magna Hi Tec Avenue? Magna Hi Tec Avenue is a residential development. This is one of the constructed projects of Magna Infra Tech (India) Pvt. Ltd. It is located near Image Hospital, Madhapur, Hyderabad, Andhra Pradesh. 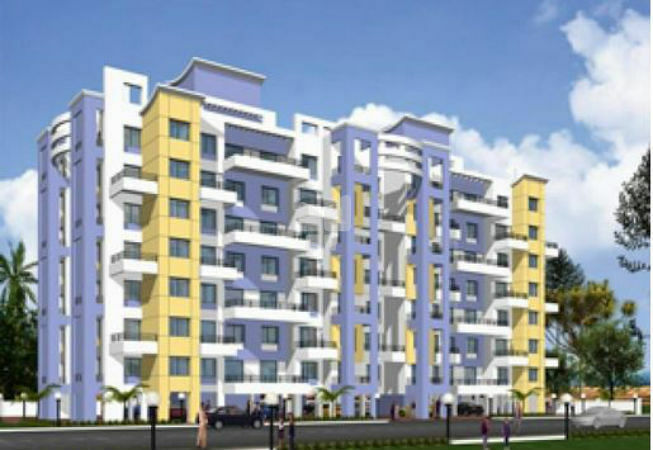 It has a thoughtful design and is well equipped with all the modern day amenities as well as basic facilities. * R C C framed structure to withstand Wind & Seismic Loads. * 9" thick Solid block work for external walls and 4½™ thick Solid block work for internal walls. * Two coats of plastering with sponge finishing. * UPVC shutter styles and rails with float glass paneled shutters and designer hardware of reputed make. * Windows : UPVC Window system with grill & Float Glass with suitable finishes as per design. * M.S. with painting aesthetically designed and fixed to the wall. * Two coats exterior Acrylic Emulsion Paint of Asian / ICI or equivalent paints over a coat of primer. External : smooth finish with acrylic emulsion paint of Asian/ICI equivalent paints over a coat of primer. * Acid Resistant Anti-Skid Ceramic Tiles. * Glazed Ceramic Tiles dado up to 2'=0 height above kitchen platform. * Glazed Ceramic Tile Dado up to 3'-0" height 12"x12" of Naveen/Johnson or equivalent. * Granite Platform with stainless steel sink with both municipal & bore water connection & provision for fixing of Aqua-guard and Provison for exhauster. * Concealed Copper Wiring of Finolex/Anchor/polycab or equivalent make. * Power outlets for Air Conditioners in all bedrooms. * Power outlets for geysers in all bathrooms and provison for exhauster. Power plug for cooking range chimney, refrigerator, microwave ovens, mixer / grinders in kitchen. * Plug points for TV. & Audio Systems etc. * Three phase supply for each unit and individual Meter Boards. Miniature Circuit breakers (MCB) for each distribution boards of MDS / or equivalent make. * Switches are of Northwest / Anchor /MKor equivalent make. * Telephone points in Living , Master bed room & Children bed room. Intercom to connect and communicate with whole neighborhood. 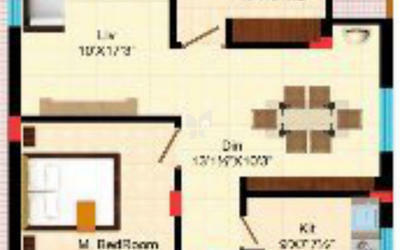 * Provision for Cable Connection in Master Bedroom & Living Room. * One internet provision in each flat. * 6 Passenger Lift, 1 per block leading to all the floors. Glazed Tile Dado around each power back-up. * D.G. Set backup with Accoustic enclosure & A.M.F For Common Areas and six points in each flat. Magna Infra Tech (India) Pvt. Ltd. was created to bring a new way of doing business in the construction industry. We, at Magna Infra Tech, are committed to explore new dimensions to accomplish our projects, a new way of counseling clients, new methods of doing business, and the utilization of new technologies. Hence, we stand tall on the edifice of our success by living up to our commitment and your expectations. We are residential builder developers providing residential flats, luxurious villas, 2 bedroom apartments, 3 bedroom apartments, 4 bedroom apartments and luxurious mansion for sale.